Uncertainty in reservoir geological properties has a major impact in reservoir design and operations decision-making. To quantify the production uncertainty and to make optimal decisions in reservoir development, flow simulation is widely used. However, reservoir flow simulation is a computationally intensive task due to complex geological heterogeneities and numerical thermal modeling. Normally only a small number of realizations are chosen from a large superset for flow simulation. 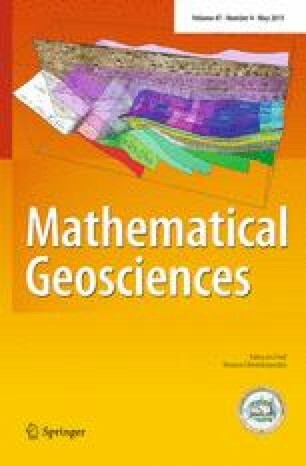 In this paper, a mixed-integer linear optimization-based geological realization reduction method is proposed to select geological realizations. The method minimizes the probability distance between the discrete distribution represented by the superset of realizations and the reduced discrete distribution represented by the selected realizations. The proposed method was compared with the traditional ranking technique and the distance-based kernel clustering method. Results show that the proposed method can effectively select realizations and assign probabilities such that the extreme and expected reservoir performances are recovered better than any of the single static measure-based ranking methods or the kernel clustering method. The authors would like to acknowledge the financial support from the Natural Sciences and Engineering Resource Council (NSERC) of Canada Discovery Grant Program.